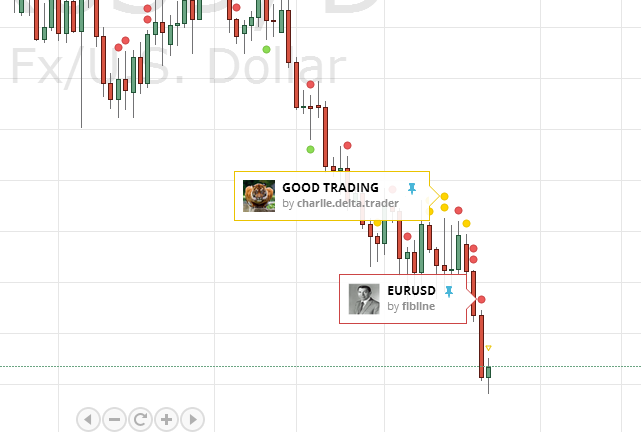 TradingView Blog Spanish / Social / My ideas and notes are on TradingView! 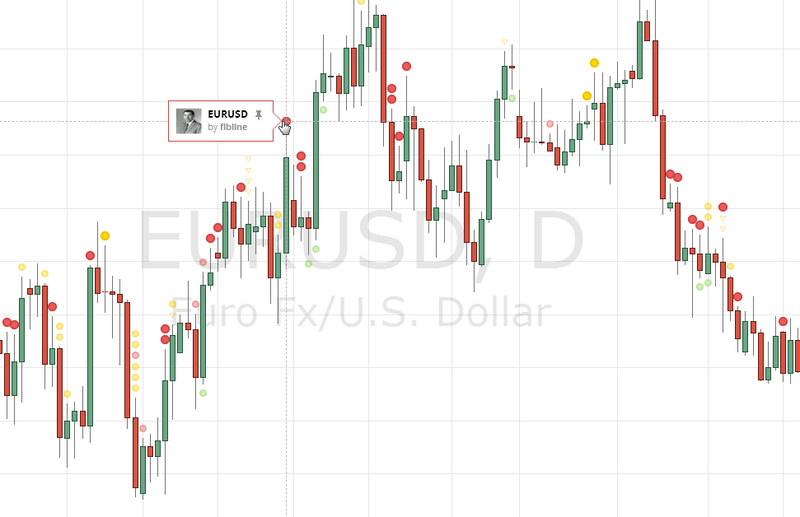 We have expanded the functionality of how public ideas are displayed on a chart! 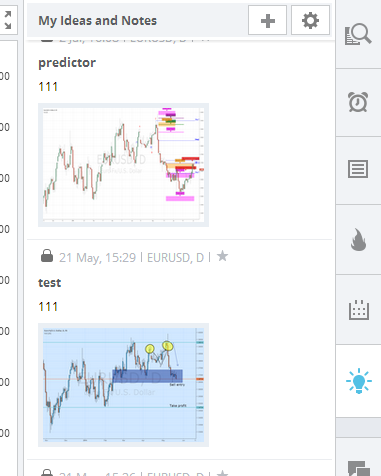 Now you can set which ideas should be visible on a chart – your own ideas (including private), ideas of the people you follow, suggested ideas or all ideas at the same time. On the side toolbar, you can now access the section with your published ideas. 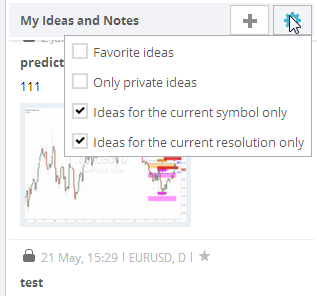 Publishing private ideas is now available to all users! It’s now easy to create notes that only you can see and will always be at hand. Private ideas are available to all users now, not only to the PRO account holders, acting as notes. Your own ideas are shown on a chart as triangles. Private ideas – as hollow triangles. Using the ‘+’ button on the side panel, a user can now rapidly publish a private idea. You can pin an idea that you like to your chart. A pinned idea is shown like other drawings, able to be accessed as a reference while doing your analysis (for example, when referencing previously published ideas). If you click on the pinned idea it will open in a popup. If you place your mouse pointer over an idea of a certain author, all his ideas will be highlighted. This makes it easy to find the author’s other ideas.